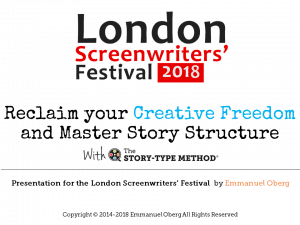 July 27, 2018: Following my sessions on thriller and comedy writing last year, I'm delighted to be invited back to the festival this year. 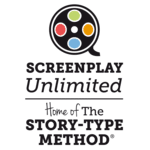 I'll be introducing the Story-Type Method itself, in a presentation titled Reclaim Your Creative Freedom and Master Story Structure. The 2.5 hour session is scheduled at 10:45 on Friday the 7th of September 2018. It will take place at the Tuke Cinema and entry is free for festival delegates. 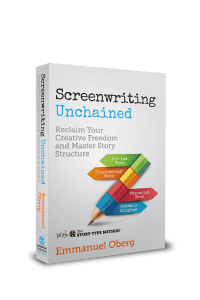 After the presentation, participants can access online documentation including all the slides shown during the session and a free sampler (first fifty pages) of Screenwriting Unchained. For more info or to register, please head to the Festival's website here. September 11, 2018: Just a quick update: The presentation went very well. Thanks to the whole team for their invitation and for another great edition of the festival. "Thank you so much for the session. 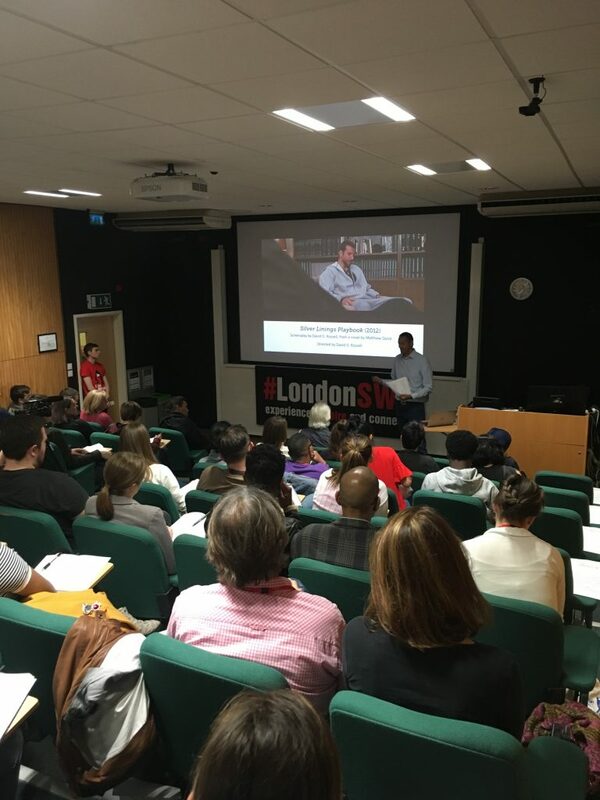 I loved your theory and it was the best talk on structure that I have ever attended, very liberating." "I really enjoyed the session."